Linkin Park vocalist Chester Bennington has died, committing suicide by hanging, TMZ reports. He was 41. The publication reports that law enforcement found the singer dead at a private residence in Los Angeles County this morning (July 20) before 9 a.m. local time. This was echoed by the Los Angeles County coroner. UPDATE (7/21, 2:35 p.m. EDT): The L.A. County Department of the Medical Examiner has now confirmed Bennington's death was indeed suicide by hanging. Over the years, Bennington has had a very public struggle with drugs and alcohol. He was also a close friend to Chris Cornell, who committed suicide by hanging in May. Today would have been Cornell's 53rd birthday. Linkin Park were set to embark on the "One More Light World Tour" later this month. The trek was also set to head into Canada for shows in Toronto, Montreal and Vancouver. Born in Phoenix, AZ, Bennington took an interest in music at a young age, counting Stone Temple Pilots and Depeche Mode amongst his earliest influences. Bennington revealed that he had was sexually abused at age seven from an older male friend, which continued until he was 13. At age 11, Bennington's parents divorced — a factor that led to his abuse of alcohol and drugs as he found solace in writing songs and poetry. At the recommendation of Zomba Music president Jeff Blue, Bennington joined the band Xero in 1999 and met future bandmates Mike Shinoda, Rob Bourdon and Brad Delson. The band changed their name to Hybrid Theory, releasing a self-titled EP before becoming Linkin Park. Blue, then the vice-president of Warner Bros. Records, inked the band to a recording deal that same year. Linkin Park released their debut LP Hybrid Theory in 2000 to critical acclaim, selling over 4.8 million copies during its debut year. Bennington's lyrical themes on the record chronicled the divorce of his parents, as well as his drug abuse during adolescence. Following remix album Reanimation, Bennington and the band then released Meteora in 2003. Certified four times platinum by the Recording Industry Association of America, the album has sold over 27 million copies worldwide. Linkin Park took the years after Meteora to work on a variety of other projects, most notably the Collision Course remix album with Jay-Z. Bennington formed side-project Dead By Sunrise in 2005, born from songs he had written that felt "darker and moodier" than anything he had penned for Linkin Park. Linkin Park returned with Minutes to Midnight in 2007, marking the beginning of the band's move away from their rap metal sound. The record sold 20 million copies worldwide and was the first with producer Rick Rubin behind the boards. He went on to produce 2010's A Thousand Suns and 2012's Living Things. Bennington got to live his dream of joining Stone Temple Pilots in 2013, replacing vocalist Scott Weiland, who later died in 2015 of a drug overdose. 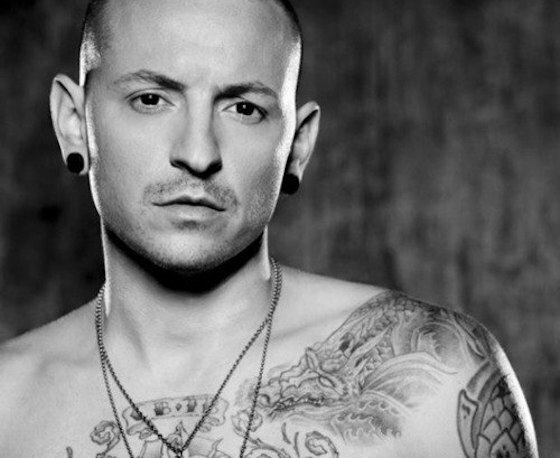 Bennington released one EP in fronting the band with High Rise that year, leaving on good terms in 2015 due to his commitments to Linkin Park. Linkin Park returned to the heavier sounds in 2014 with The Hunting Party, and released One More Light in May of this year, featuring songs with Pusha T, Stormzy and Kiiara.